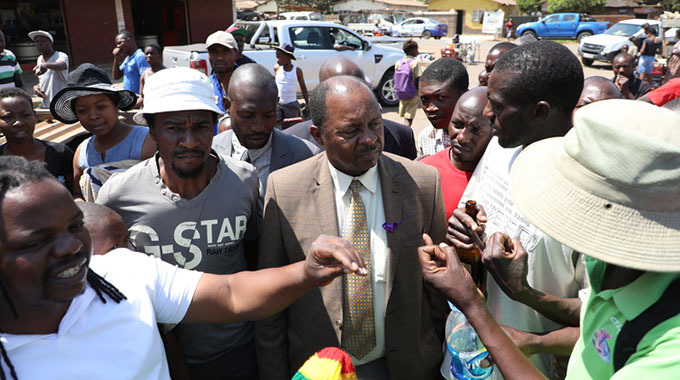 Harare City Council and the National Vendors’ Union of Zimbabwe (Navuz) yesterday appealed to all illegal vendors to leave the streets voluntarily to buttress efforts to contain the current cholera outbreak. In a statement, council said vendors should relocate to their designated vending sites. “Harare City Council appeals to members of the informal sector to voluntarily move out of the streets of the Harare CBD beginning today to designate trading sites,” read part of statement. Navuz urged vendors to comply with the appeal while a permanent solution to their situation was being worked out. Addressing the media at Town House yesterday, Navuz president Mr Stan Zvorwadza said it was imperative that action be taken immediately to address health threats posed by cholera. “However, the lasting solution is only that which is developed by the informal traders for themselves. Anything that is developed for them without their involvement will not be successful,” he said. Mr Zvorwadza said Navuz proposes a grassroots-based strategy to deal with urban vending in a non-confrontational approach. He said the strategy is rooted in persuasion and participatory methodology in solving the vending crisis, which is prevalent in most urban areas. “The informal traders must participate in the mainstream economy through participation in business contracts in all sectors. They must be accorded a fraction of all mainstream contracts in order to support their initiatives,” he said. He said Navuz strategy proposes a 100-day period to start recording results from its initiative. Mr Zvorwadza said if a portion of tenders were given to informal traders that will go a long way in addressing the congested urban areas since the majority of the informal traders have better economic engagement alternatives than vending. “Given the necessary support, 100 days are enough to see movement in a positive direction of decongestion and it is hoped this will permanently eradicate the incessant threat of medieval plagues like cholera and typhoid,” he said.